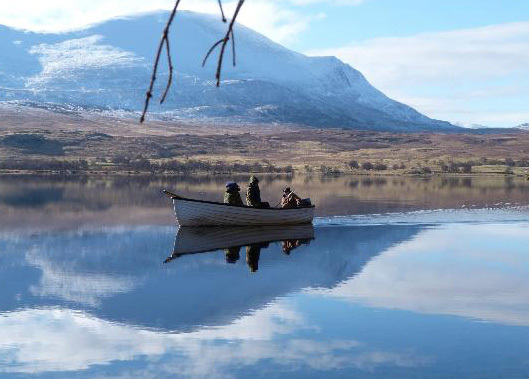 Sutherland has an abundance of fresh-water lochs, hidden gem hill lochs, exclusive rivers and beautiful streams which make for the perfect fishing getaway. Here is a breakdown of some of waters which can be fished by guests of the Altnaharra Hotel. This is a mere glimpse of the fishing the hotel can arrange for guests with many of the surrounding hill lochs, providing fantastic brown trout fishing in stunning scenery, and yet being very rarely visited. Loch Hope is a 6 mile long fresh water loch located 15 miles north-east of Altnaharra, via a stunning, little-used, single-track road. 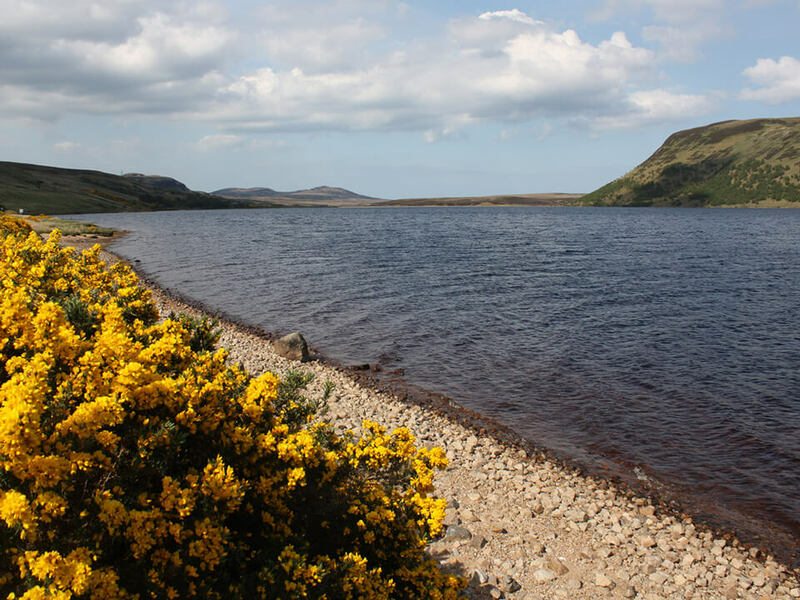 It is a famous sea-trout loch with the season running from June to September. The hotel has boats at South End and Middle Bay. If you plan to fish at South End then it is advisable to take a ghillie with you. Motors are not permitted in this part of the loch and so knowledge of the waters and another pair of hands for rowing will come in handy! Middle Bay is also known as Middle Bay Castle due to the belief that there is an underwater ruin in this location. All parts of the local are famed for their sea-trout, salmon and wild brownies. Loch Hope has been praised by Bruce Sandison of Fly Fishing & Fly Tying Magazine. 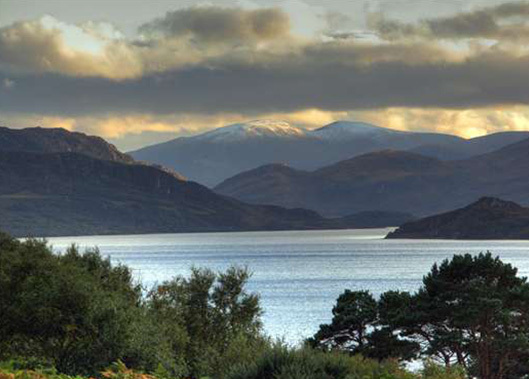 He describes it as “Scotlands leading sea-trout water” and “one of the most dramatic lochs in Scotland”. 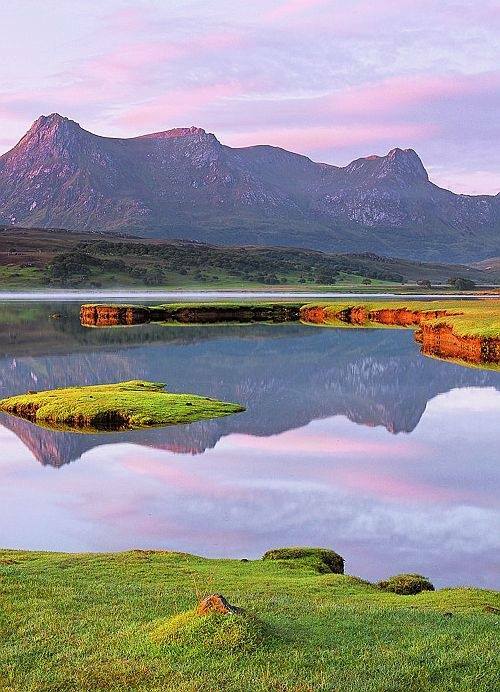 Loch Naver is just a stone’s throw from the hotel and sits in the shadow of Ben Klibreck. The loch is 6 miles long and feeds the River Naver, one of the best private salmon fishing rivers in Scotland. 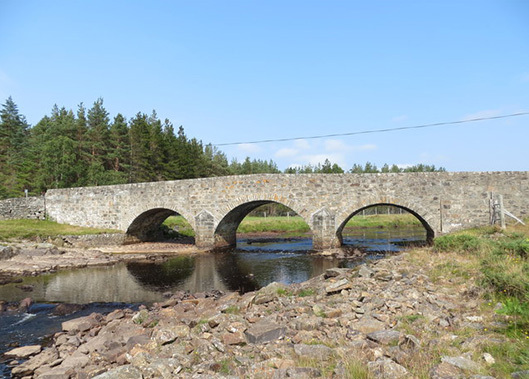 The River Mudale is a spate river running close to the Altnaharra hamlet which also contains salmon sea-trout and plenty of resident brown trout. 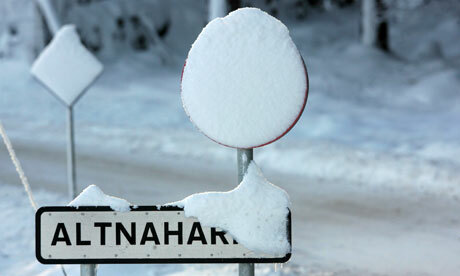 The Altnaharra Hotel has access to a 2 mile stretch of the Mudale for use by hotel guests. Loch Meadie is a middle-sized loch at 3.4miles long. It lies at the head of the River Naver system. 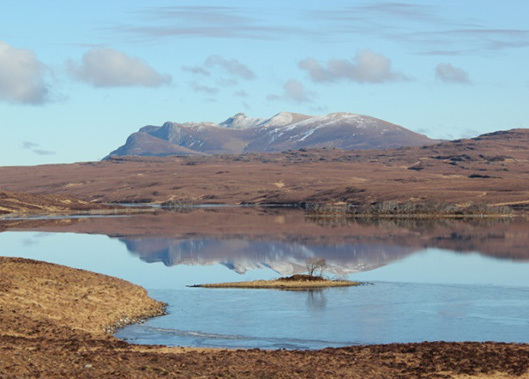 It is a brown trout loch which offers fantastic views of Ben Loyal. 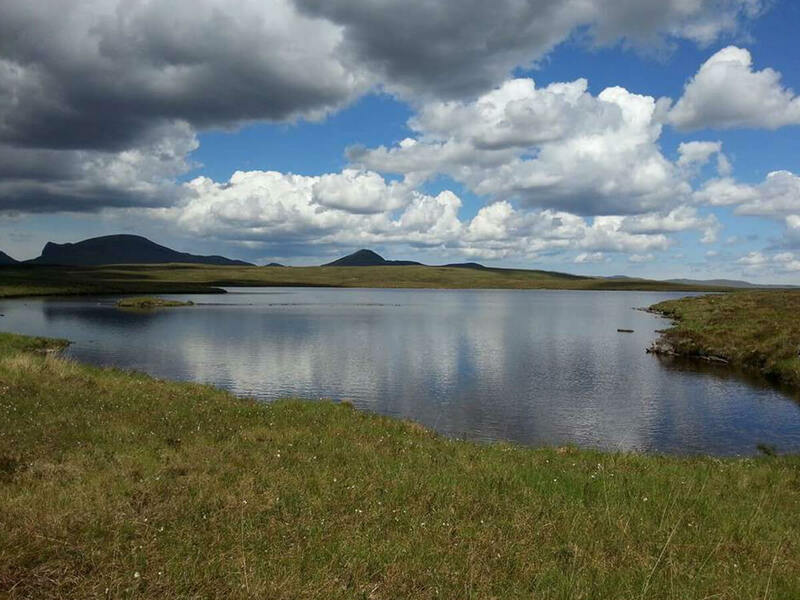 Loch Loyal is a freshwater Scottish loch, located near Lairg in Sutherland and ranges about four miles long, about half a mile wide, and drops to a depth of 200ft. The Loch flows north through Loch Craggie and Loch Slaim into the River Borgie. 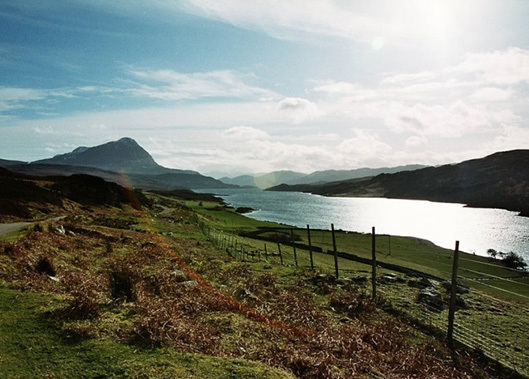 Loch Loyal is surrounded by mountain ranges that include Beinn Stumanadh, Ben Hiel, and Cnoc nan Cuilean. The town of Tongue is close to Loch Loyal. This is a large expanse of water, best fished from the hotel boat permanently moored there, which enables guests to explore the more inaccessible banks, islands and bays. It is primarily a brown trout loch although the odd salmon and sea trout have been caught here. In the past, Loch Loyal has also produced a good number of Ferox from its depths. 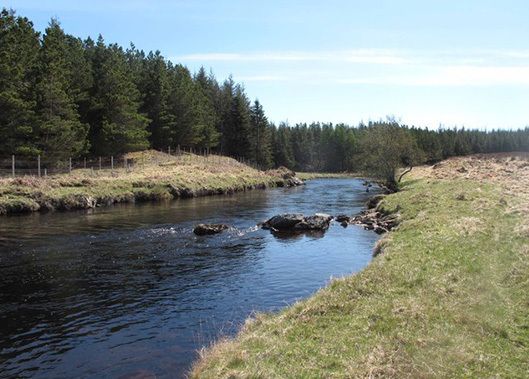 The River Mallart is a spate river with beautiful views across Strathnaver. Fed by Loch Choire and running into the River Naver, fishing on the Mallart is by fly only. 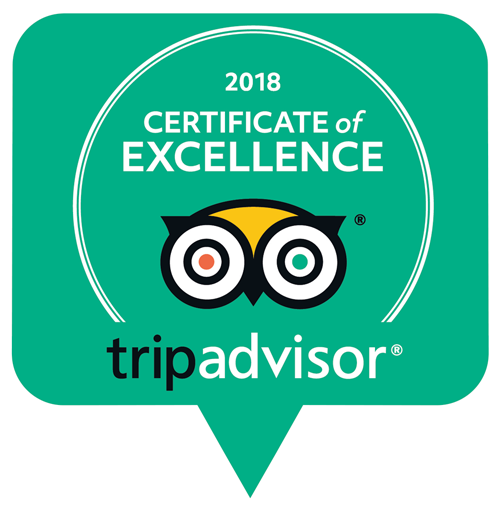 Please note that the hotel can only occasionally organise fishing on this river by prior arrangement, and guests need to check in advance of their stay for availability. The River Borgie is made up of 4 beats which are fly fishing only. 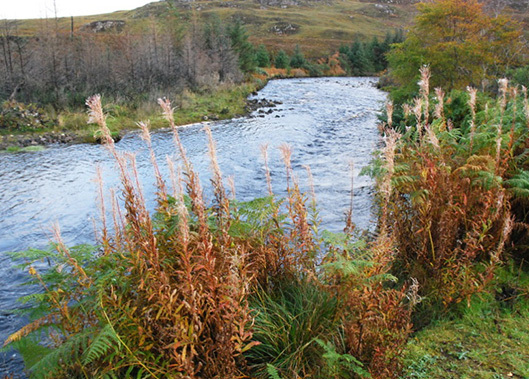 The Borgie flows out of Loch Slaim and runs for 7 miles until it enters the sea at Torrisdale Bay. It is a very attractive salmon and trout river which offers excellent spring fishing. This is a productive loch, full of brown trout and easily accessible from the A836 a couple of miles to the north of Altnaharra. It can either be fished from the bank or the hotel’s boat which is permanently moored there for the season. 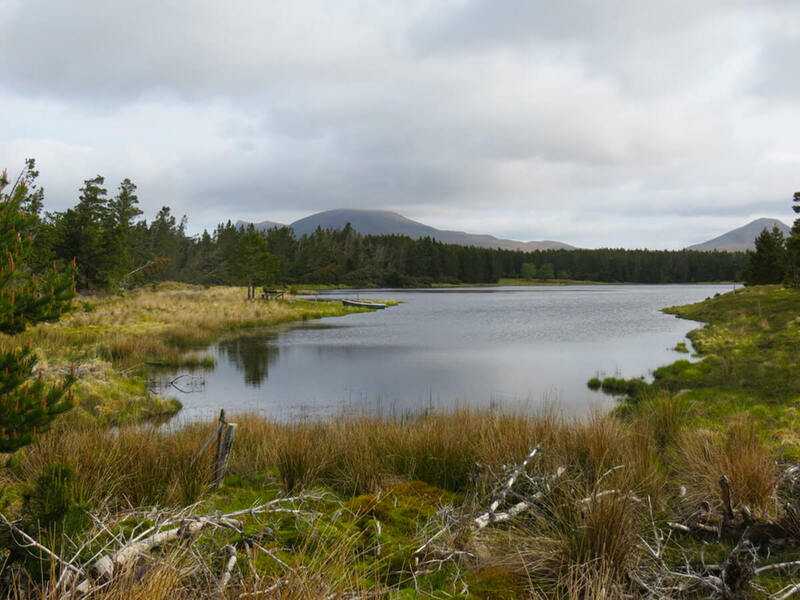 Also known as Plantation Loch due to its location in the centre of a large, mature pine plantation, Loch a Mhoid provides a stunning setting for wild brown trout fishing. The water is very productive and guests rarely return to the hotel without having had some sport. It is best fished from the hotel’s boat, moored there for the season.